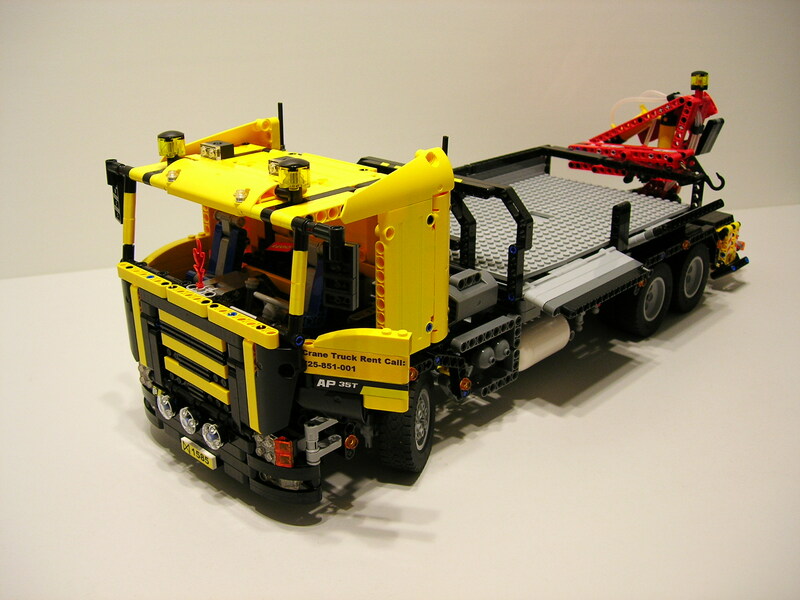 Patryk Walerzak (Waler93) from LUGPol has been doing some great and huge Technic MOCs like his MAZ 7907 [1, 2], a 24 wheel Russian Truck originally designed to carry intercontinental missiles but never used for such purpose, or his awesome Asphalt Paver [3, 4] - All them deserving a post on themselves. Although for this post I decided to bring up another model from Waler. A full featured Pneumatic Crane Truck. I really liked to see how he managed to integrate the manometer in this model, for reading the pressure in the pneumatics circuit, and also the rarely seen V6 Boxer style motor. You can find several dditional photos from this project at Waler's folder on Brickshelf.